Playa del Carmen is known for its small town atmosphere and beautiful Caribbean beach, but now it’s time to get to know its neighborhoods. Avenues run parallel to the beach, streets perpendicular. 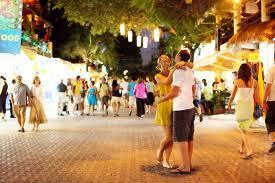 One of the most beautiful neighborhoods is known simply as “Playacar”. By far the most popular area for Real Estate, it is divided into Two Phases. The “Phase I” which is located on the beach and has Playa's only homes, along with Mayan Ruins that date back to prehistory, and of course the ever present 24 hour security, that do not date back to prehistory. The landscape includes amazing architecture that compliment the views to the Caribbean Sea, which of course is featured prominently. If you are looking a home with beach front, this should be on the top of your list. "PlayaCar Phase II” is situated in a golf course so the views are more suited to golf scenery. It is also known as the Hotel Zone of Playa, thanks to its plethora of 5 star and all inclusive hotels and resorts, but don’t get the wrong impression, it still has its own unique ambiance, exclusive access to the beach clubs and great homes and condo choices. If you are looking to build your dream home there are still a few options left for you. Of course this phase has 24 hrs security too. Moving on to another neighborhoods Downtown (Centro), is the area known for its commerical center and what most people think about when they picture Playa. The highlight of the area is the Famous 5th Avenue is where you can find small hotels, restaurants and boutiques that are unlike anywhere else. This Avenue is well known for all the tourist related activities including its great party scene, dance venues or for just kicking back with a glass of wine with friends. Recently the ¨Centro¨has been making headlines with its local comedy tour in English, a first in Mexico. The Real Estate Market in this area is popular for loft style condos all the way up to Beach Front Condos. If you are all about being seen at the trendiest beach clubs, then Coco Beach may well be the best fit for you. Playa's most famous beach club, ¨Mamitas¨is there, along with lesser known but just as hip spots including Kool, a place so Kool that even cool people are not ¨Kool¨enough. Here you can find condos with great ocean views. Its known for new developments in the Real Estate Market but you need to make sure they have a good and clear title. If you are looking for a piece of paradise. 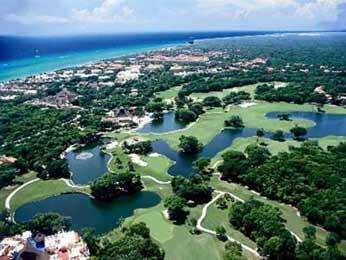 We are your trusted partner for secure Real Estate transactions in the jewel of Mexico´s Caribbean Coast.